Controllers to define consoles in future? Consoles and videogames will be defined by controllers in future, rather than graphics, according to the head of a videogame development firm. Alex St John, CEO of PC gaming firm Wild Tangent, made the claim at a recent gaming conference in New York. He also stated that, out of the Wii, PlayStation 3 and Xbox 360, only the Wii is profitable because it uses “off the shelf components” and is “differentiated by an input device,” namely the Remote and Nunchuck. The Wii is still console king in the US, according to recent sales figures from market watcher NPD. Although sales of the Nintendo console dropped by less than one percentage point between March and April in the US, a massive 714,000 units were sold during the period. In contrast, 188,000 Xbox 360s and 187,100 PS3s were sold during in same time. St John added that videogames like Rock Band and Guitar Hero are selling particularly well because, instead of using a standard PS3 style controller, the games are “defined by a new type of input device”. Could this be the Xbox 360's next controller? 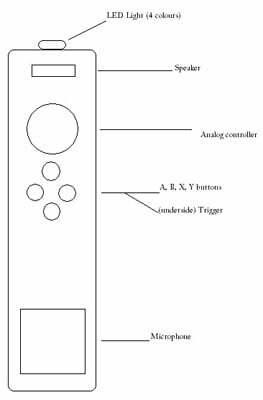 It has already been rumoured that Microsoft is secretly designing a Wii Remote-style motion controller for the Xbox 360, which could appear in stores in time for Christmas. Speaking at the same conference, Kathy Vrabeck, president of Electronic Arts Casual Entertainment, said that the Wii has sold so well because its controller set-up makes the console appeal to a wider audience. “Talk to any Mum…and they've played Wii bowling and they did all the Wii sports and now all of the sudden it is a console that is also for them,” added Vrabeck. Register Hardware’s a little sceptical that a console’s controller will be all that defines it in years to come. Grand Theft Auto IV, for example, sold almost 1m copies during its first five days on sale in the UK, despite the Xbox 360 and PS3 offering little more than in-game thumb-pad navigation. Will videogames developers and console manufacturers need to get traditional gamers up off their sofas and using ‘unique’ controllers to shift units in future? Or, will the appeal of shooting down a helicopter or driving a car with nothing more than a green button and thumb-pad always be enough for some gamers? Register Hardware wants your thoughts.